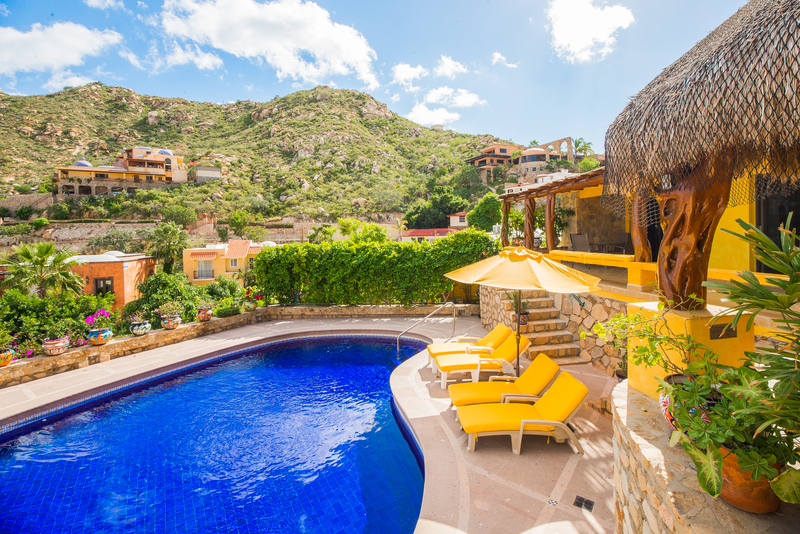 Lush landscaping in vibrant colors frames this villa’s excellent view extending to Cabo San Lucas Bay. 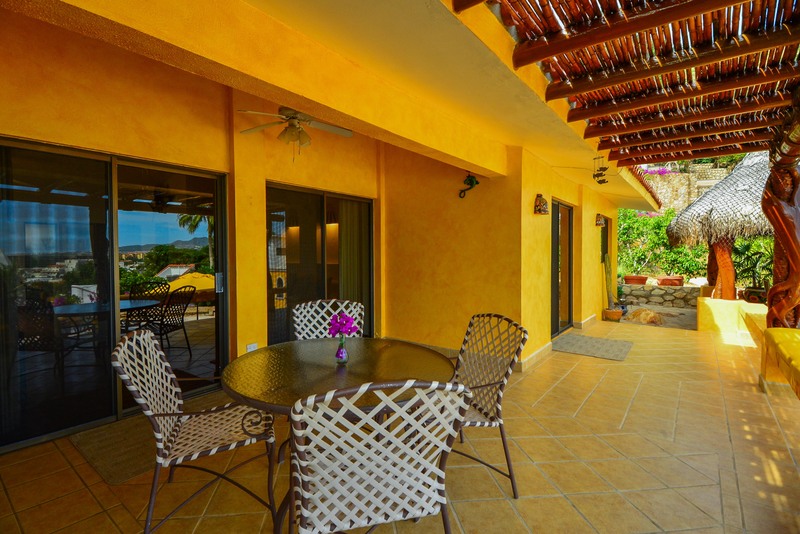 At Villa Mira Flores, you’ll find plenty of aesthetic appeal, along with all the amenities you need for a fun-filled and enjoyable stay. 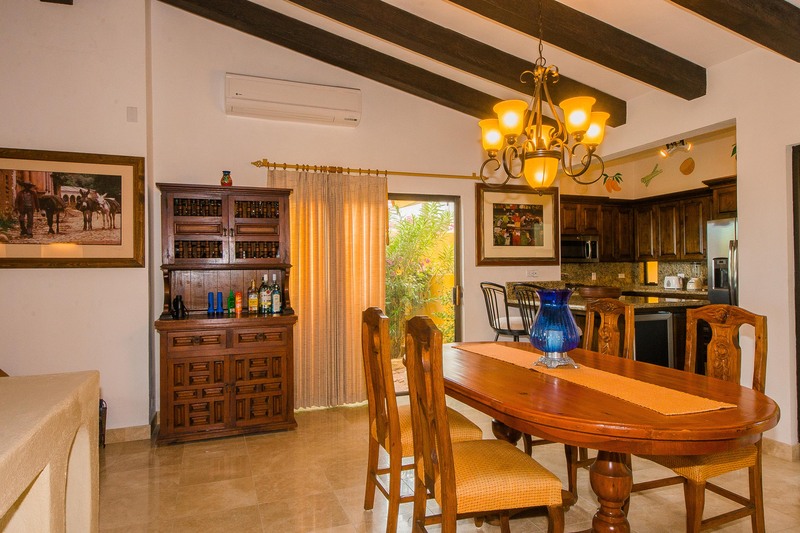 This lovely villa is better than ever, having recently been extensively remodeled and upgraded with new marble floors, a completely new kitchen, new appliances, a new wine cooler and so much more! Enjoy a chef-prepared dinner on the scenic and spacious upper terrace, or take a refreshing swim in the swimming pool set in the lower garden area. 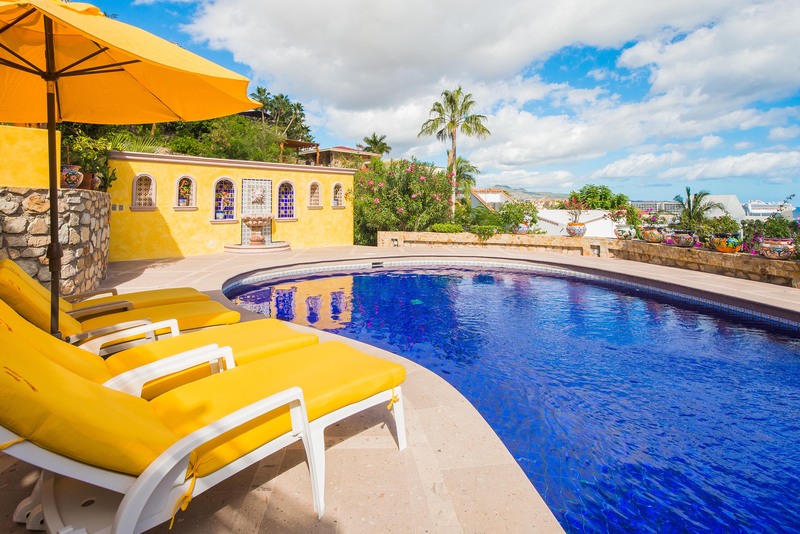 A new cantera stone pool deck offers an inviting place to relax. In the evening, you’ll appreciate the accent lighting enhancing the terrace. 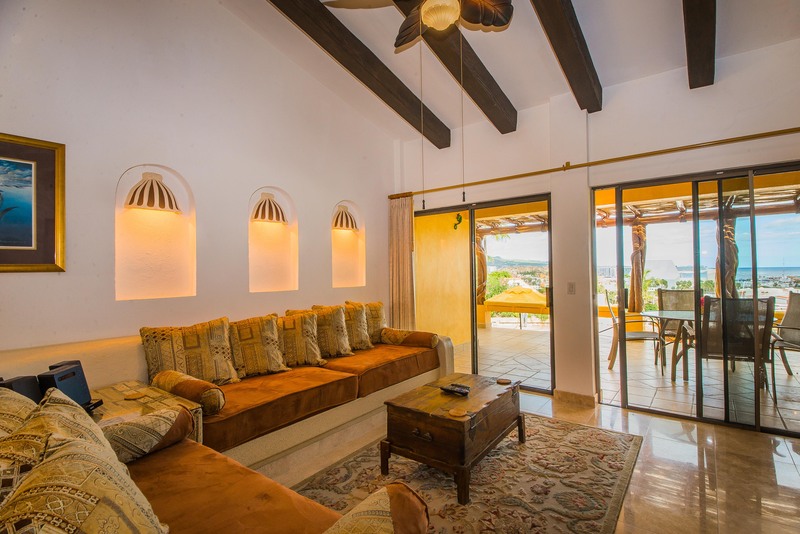 Inside, tasteful splashes of color and additional lighting accents create an elegant, cheerful ambiance. 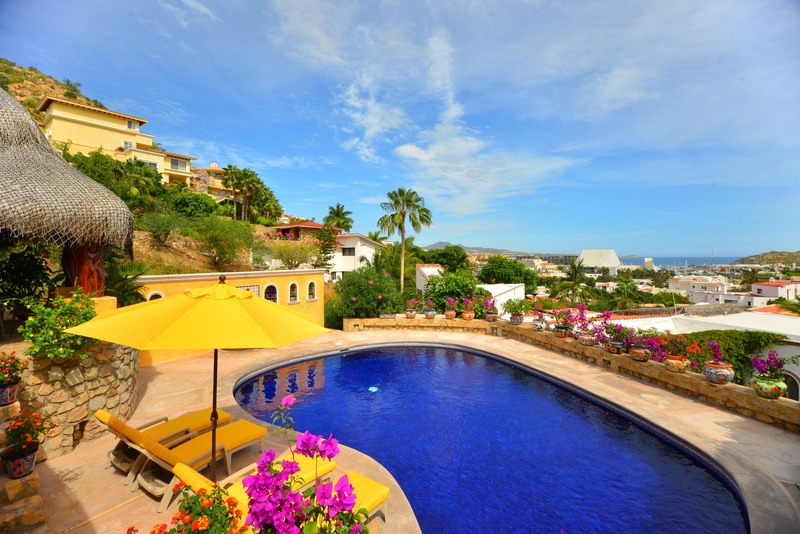 Well situated in the upscale Pedregal area, this charming villa is within walking distance of downtown Cabo San Lucas. Take a stroll downtown to enjoy fine dining, nightlife, shopping and the activities of the marina. 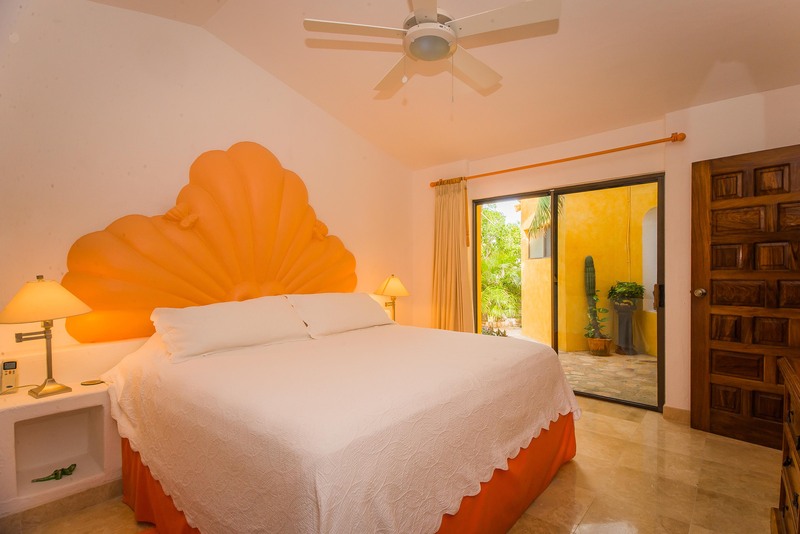 5 STARS......We enjoyed staying at the Villa Mira Flores last week. 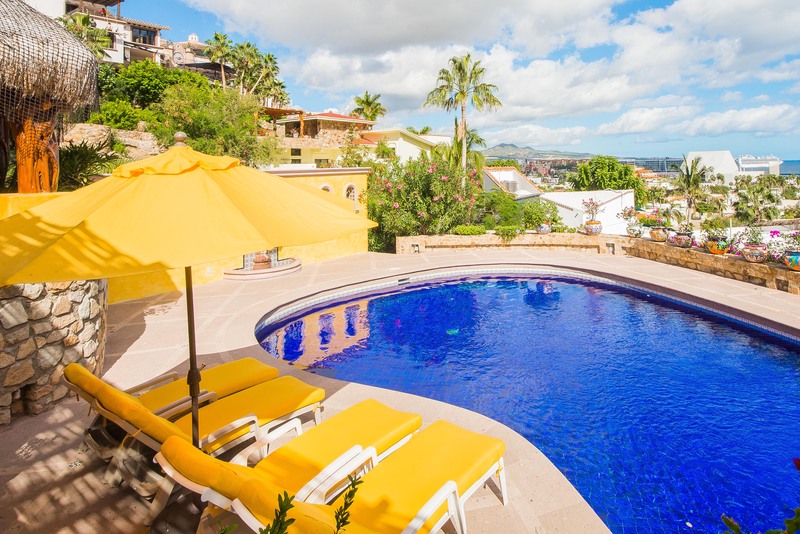 The house is amazing and the pool is awesome. 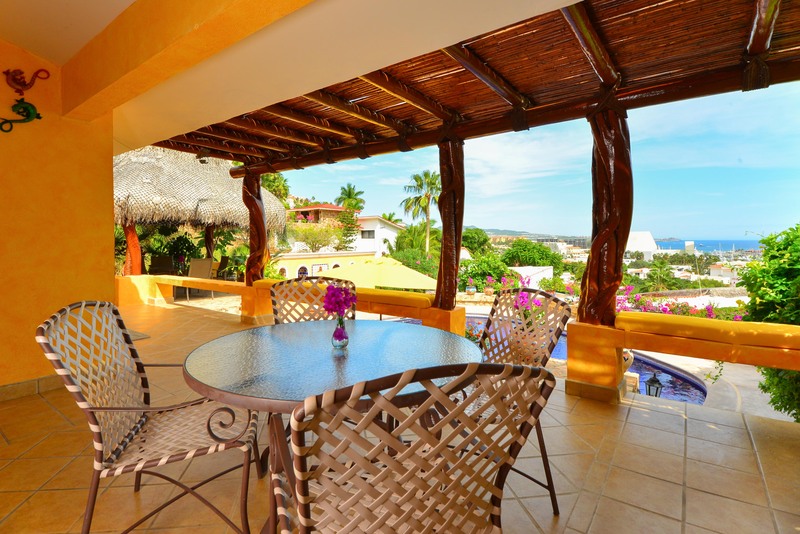 It has a gas grill in the backyard so you don't have to go into Cabo and eat. The kitchen is fully stocked with anything you can think of to cook with. The housekeeper, pool man and landscape lady were so friendly. It was nice and quiet and we were not bothered by noise. It even comes with Maxey (the cat) and a few of his friends. It was an enjoyable week and we will rent there again. This was our third time at this house. 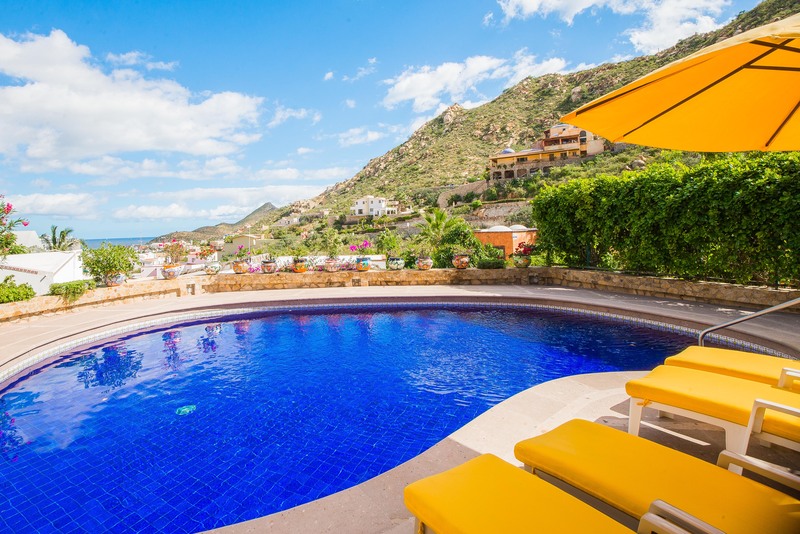 The interaction with Jessica at cabovillas.com was professional and gave us all of the information we needed to decide to make the booking. 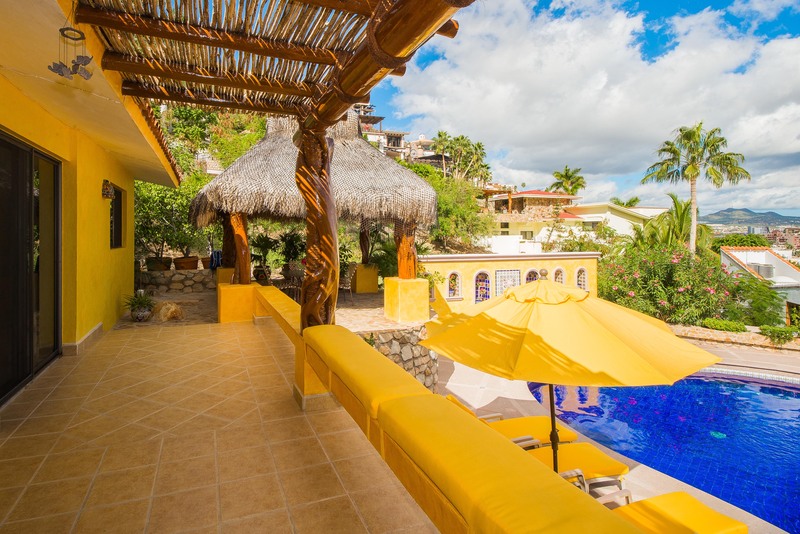 We are pretty private and independent travelers so did not need a lot of the support which was offered, however, we were greeted at the villa by the concierge, chips with salsa and Margaritas.....a great start to our vacation! We also met with the property manager who took care of one (very small) issue within 15 minutes! Excellent! Other than that they respected our privacy and we knew we just needed to call if we needed anything. 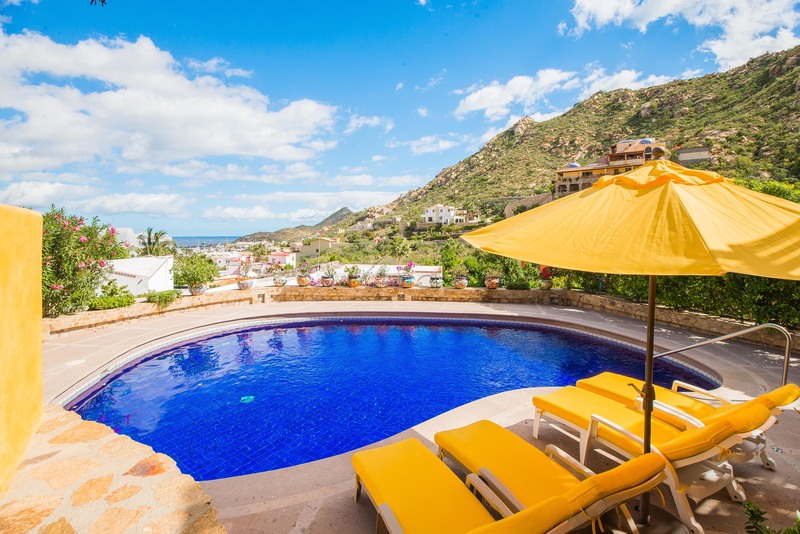 The view on the photos on the Cabo Villa website does not do justice to the actual view which was excellent. The pool area was clean, the sunbeds were clean and comfortable and the area had hours of sun during the day. The villa does come complete with cats (7!) which we fed and watered every day, but if you don't like cats, it may be better to stay elsewhere. 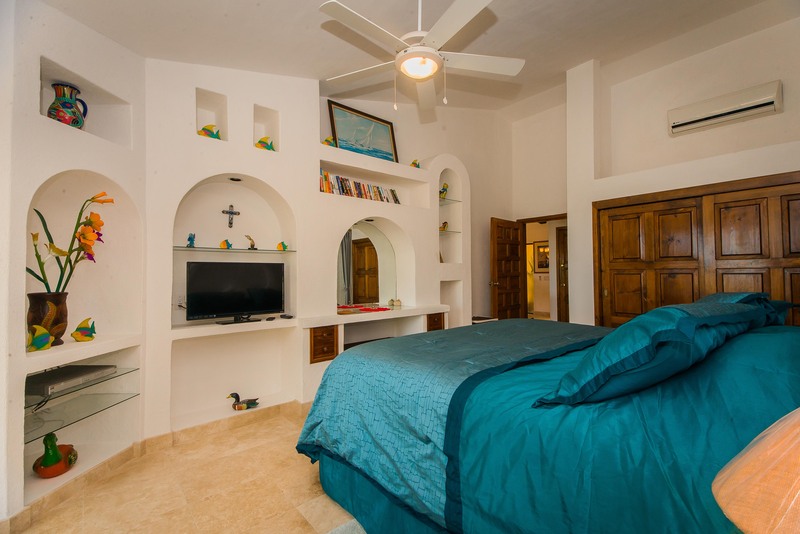 The beds were comfortable and the living areas were clean, modern and tidy. 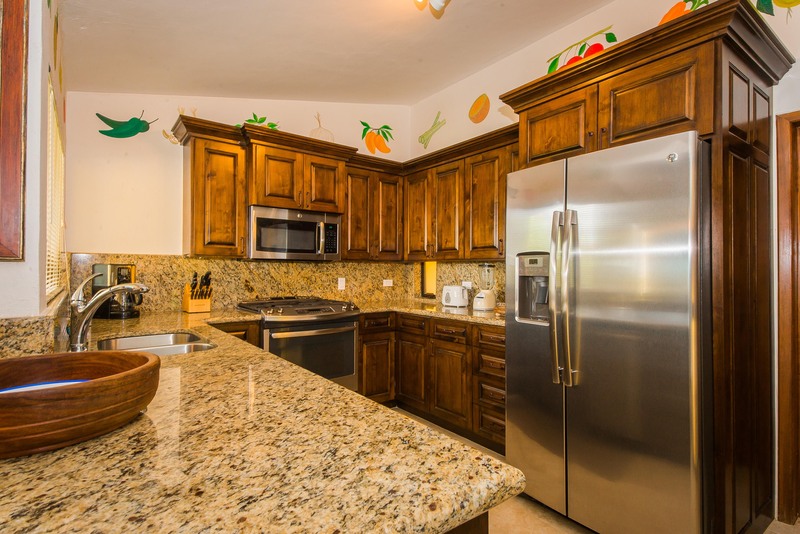 The kitchen was stocked with everything needed and seemed like newly fitted. We had no issues at all with the villa, it was superb! 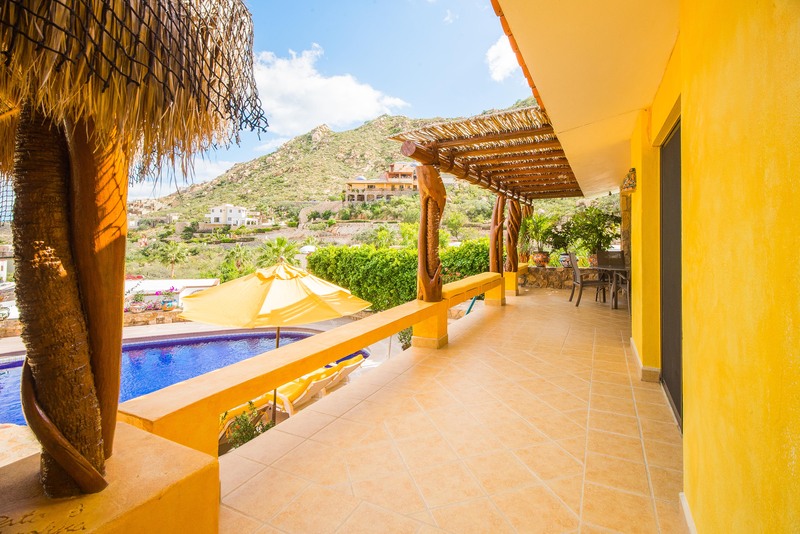 The villa is in the Pedregal area which has security at the main gate giving the feeling of added safety, however, we have vacationed in Cabo a few times and for us, safety is not an issue in this part of Mexico. Its a 10 minute walk to town, a bit of a hill but nothing for most people. 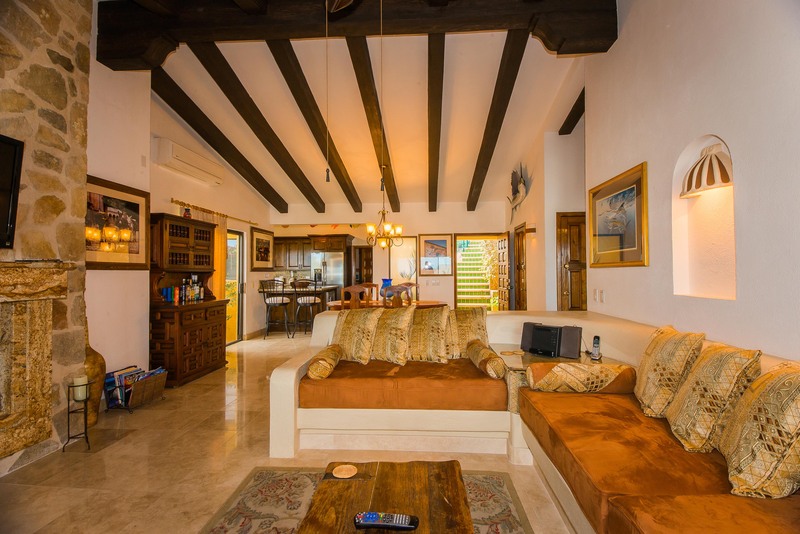 We would recommend both this villa and cabovillas.com to any friend or family member without doubt. A great vacation!! 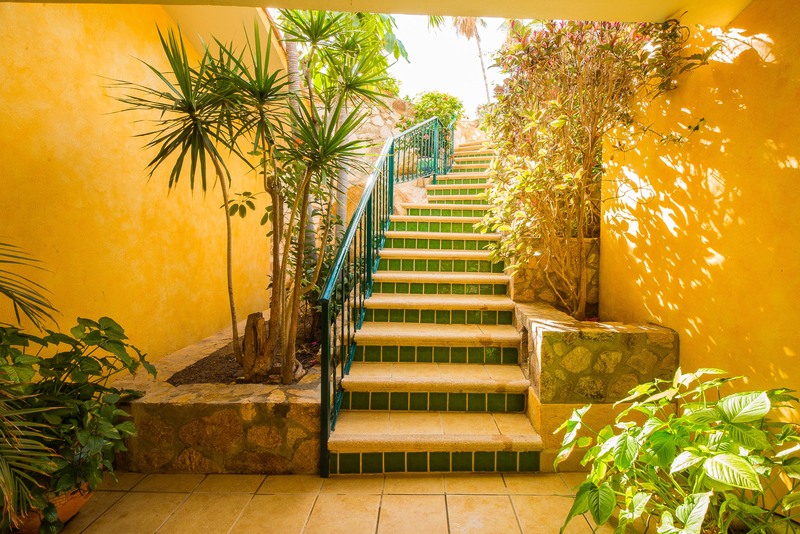 Being able to visit a gorgeous location like Cabo San Lucas, without getting caught up in the "tourist scene" was our goal. Thanks to Flipkey and cabovillas.com, we achieved our goal. Everything from a Margarita and salsa welcome to the calling of taxis, reservations and recommendations...it was all there presented in a warm and friendly way. Our accommodations were ideal. The pool a delight. 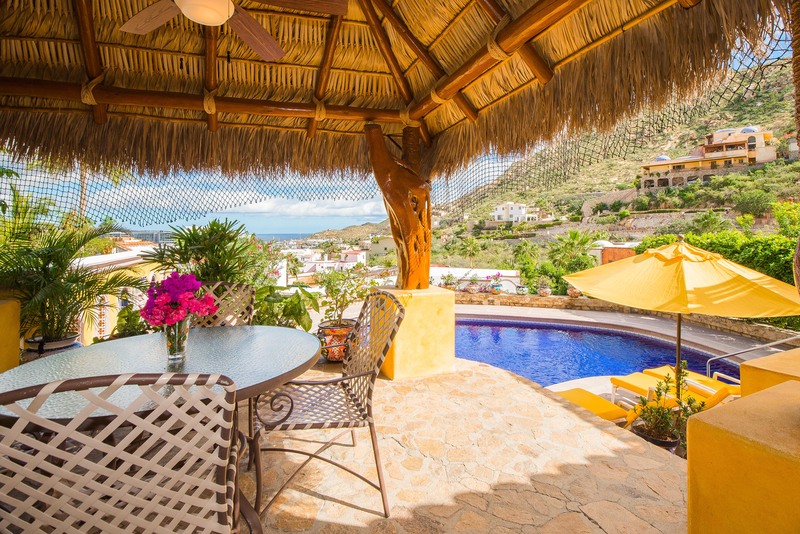 I've already recommended the home and location, in Pedregal (a short walk to town and beach) to friends. We loved it! 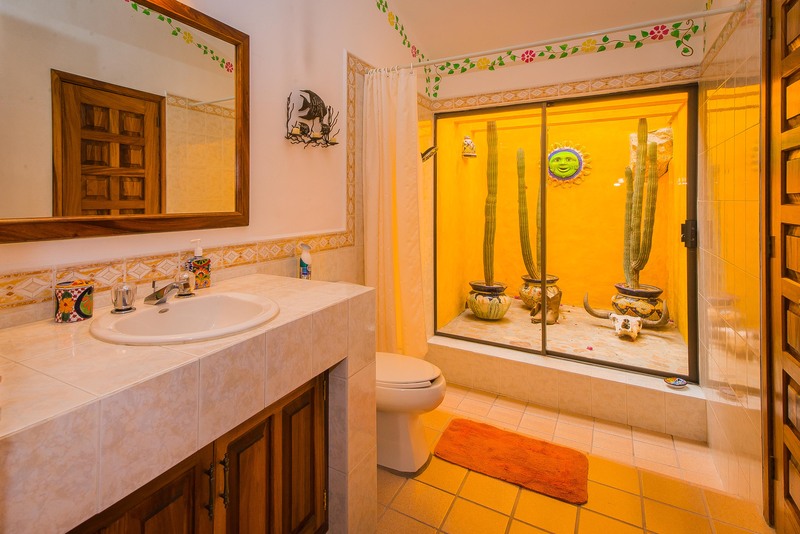 We had 2 couples in here and it was perfect. 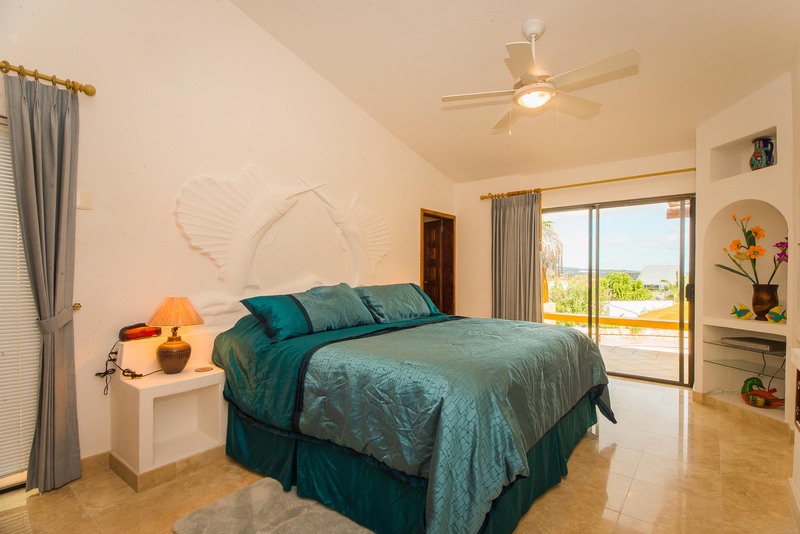 I shopped around for a few months and finally decided on Villa Mira Flores and from what I can tell we got the right place. Not far from town and it is a downhill walk into town. We almost always took a cab back though since it is a fairly steep hill and not an easy walk after a night out. The driver from the airport was amazing and our concierge was very helpful with anything we needed. The very few complaints we had were no dishwasher and a small mix-up with security at the front gate. That in no way may our stay any worse in my opinion. 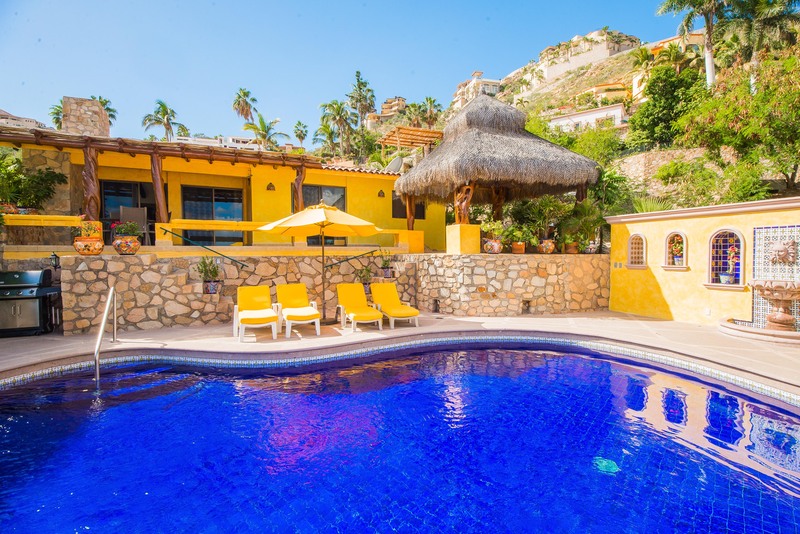 I'll add some pictures of stuff I haven't already seen about Villa Mira Flores and Pedregal. Would come back for sure! 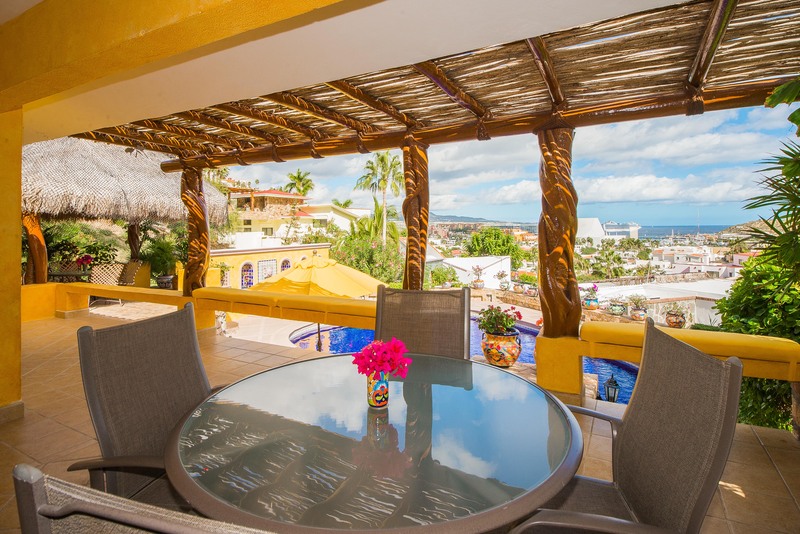 ""all the comforts of home on vacation...""
We have stayed at Villa Mira Flores multiple times, never disappointed with our stay. 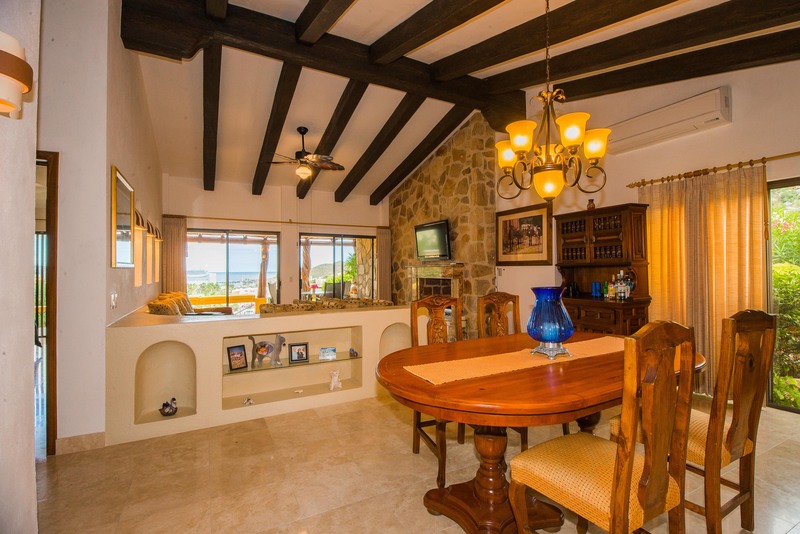 Great location, perfect size home, awesome pool. We love the welcome & hospitality we get from Tino & Maria each visit. 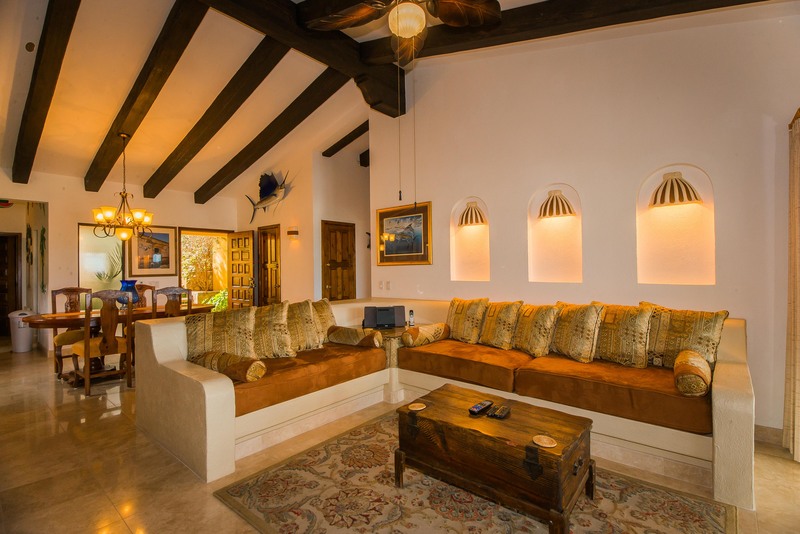 Such a comfortable and relaxing stay!